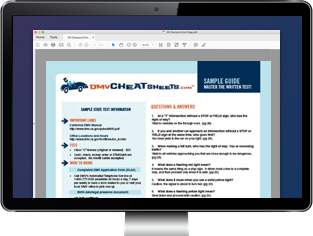 The Washington Department of Licensing (DOL) requires every new driver under 18 years old to take a driver's education course, also called Traffic Safety Education (TSE), before getting a driver's license. A driver's education course will provide all kinds of information about WA driving laws, operating a motor vehicle, and becoming a safer driver. You may attend a driver education course as early as 15 years old. While you can enroll in your course before you obtain an instruction permit, you must get your permit within 10 days of starting your first class. If you're younger than 15 1/2 years old, you must show a certificate of enrollment in your Driver's Ed course. Drivers of any age must pass the knowledge test. NOTE: If you're younger than 18 years old your parents must give permission for the instruction permit by providing a signature. For information about the process of applying for your permit and specific permit restrictions, please visit our Drivers Permits in Washington page. 30 hours of classroom instruction (2 hours per day max). At least 6 hours of driving practice (1 hour per day max). At least 1 hour of behind-the-wheel observation. NOTE: If you're a teen with a valid license from another state, you still need to meet all the same requirements of the intermediate driver's license laws in Washington. If you're under 18 years old, you must attend an in-classroom driver education program at your high school or a driver training school. To find out where you can take a driver training course, contact your high school offices directly, or search all driver training schools or training locations in Washington at the WA DOL website. If you have specific questions, contact the Washington Driver Training School Program via e-mail at tse@dol.wa.gov. A driver's education completion certificate (if the training school did not submit it electronically). Proof you completed at least 50 hours of driving practice (10 hours must be at night). A completed Parental Authorization Affidavit (Form DLE-520-003). Proof of liability car insurance. NOTE: You must be at least 16 years old to apply for your Washington driver's license. You will only be issued an intermediate driver's license, which carries driving restrictions, if you are under 18 years old. For more information, including fees and other required documents, visit our Applying for a New License (Teen Drivers) in Washington page. Form used to certify a new driver has completed the WA Department of Licensing's required supervised driving hours. Must be completed by the parent, legal guardian, OR employer of the new driver.